My daughter’s IEP goals were based simply on what her teacher observed. She ignored our suggestions and says she doesn’t believe the issues we have at home are a problem at school. Her teacher said she wanted only very limited goals so my daughter is not overwhelmed. She says this will leave time to work on other things that won’t be part of the goals. 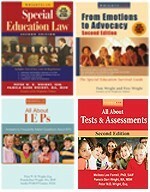 Where does the law say that a teacher can revise the IEP and base the goals only on what she sees in the classroom? 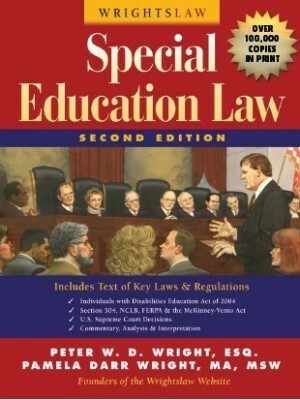 In your special education law book, https://www.wrightslaw.com/store/selaw2.html the legal requirements in IDEA about IEPs begin on p. 99. 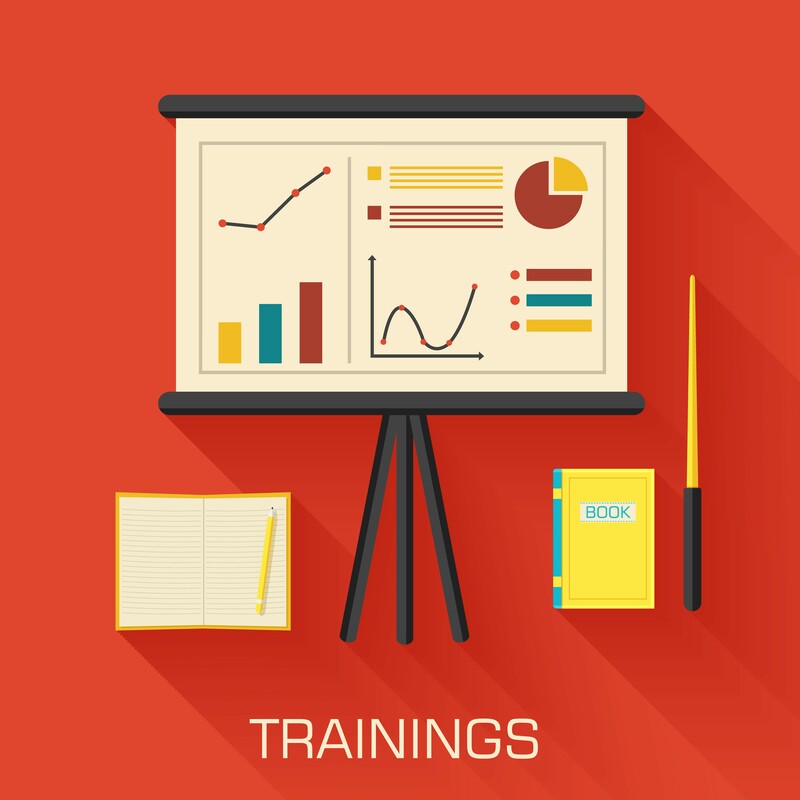 The federal implementing regulations specifically about IEPs start on p. 245. 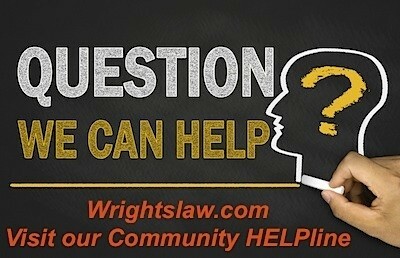 Use the google search box on any Wrightslaw.com page. IDEA requires the IEP to include a statement of the child’s Present Levels of Academic Achievement and Functional Performance. Your daughter’s goals should be based on the Present levels – her strengths and weaknesses and unique needs. Presents levels require objective test data (although they may include some information from teacher observations in class). 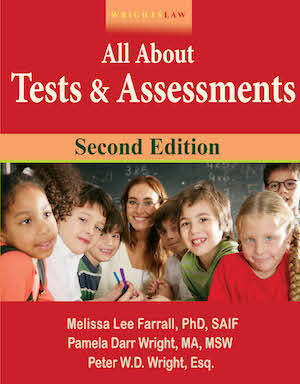 The teacher doesn’t revise the IEP – the IEP Team revises the IEP based on your daughter’s test data and needs. 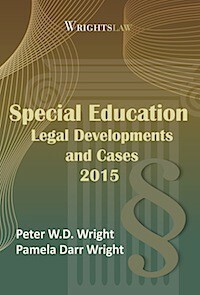 Review Chapter 8 in Wrightslaw: All About IEPs. You are a key participant on the IEP team. Your input is very important to team decisions and should be discussed and considered by the whole team at the meeting (not just considered by the teacher as a “suggestion”). Learn about parent input and requests at IEP meetings and what the school is required to do. 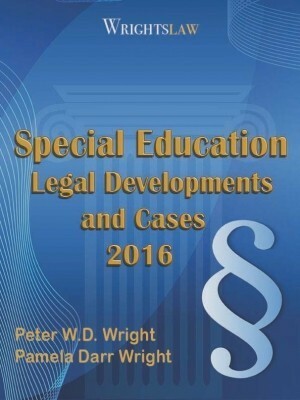 Read and learn about your rights and your daughter’s rights, her disability, the IEP process, and your parental role. 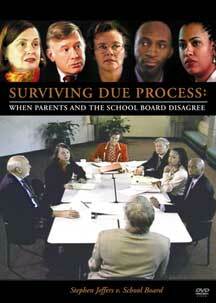 You should be front and center at the IEP meeting held to review and revise your daughter’s IEP. 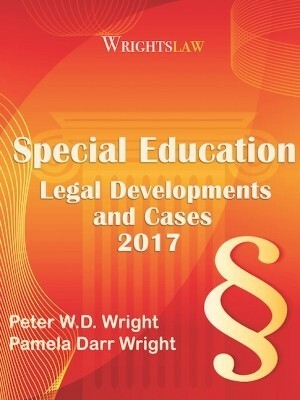 Take the Wrightslaw Summer School 2014 course on Parent Rights and Responsibilities in the IEP Process. You can always request, in writing, a change in date of the IEP meeting – so that you can be prepared and be a full participant in the process as the law requires. 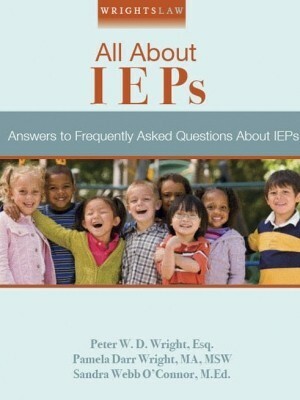 Read more about IEPs. https://www.wrightslaw.com/info/iep.index.htm. This entry was posted in IEPs and tagged Goals, IEP Goals, parent input, parent participation, parent rights and responsibilities by Wrightslaw. Bookmark the permalink. I am an SLP for preschoolers – private provider. 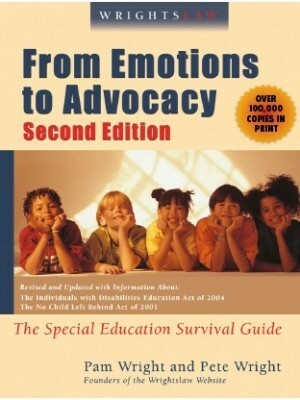 Wondering your thoughts on preschoolers who at annual review in May continue to be classified as a preschooler with a disability and continue to be given an IEP for speech services; then 4 weeks later, at transition to kindergarten meeting are declassified and given speech improvement under the “RTI” umbrella for kindergarten in Sept.